for a fun, interactive Spanish Language Immersion experience. Open to all language levels. 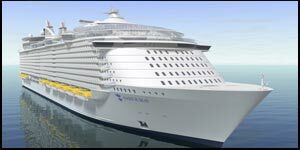 The cabin price includes all cruise port charges, government taxes and gratuities. Included: Shipboard accommodations, ocean transportation, most meals, some beverages and most onboard entertainment. Not Included: Air transportation**; transfers**; items of a personal nature, such as shore & land excursions**, specialty restaurant fees, some beverages, photographs,medical services, etc. ** You can add these during or after the reservation process. REDUCED DEPOSIT SPECIAL: An initial deposit of only $25 per person is needed to secure your spot. The remaining deposit will be due September X, 2012 (for March sailing) and December 3, 2012 (for April sailing). Final payments for March 10, 2013 sailing will be due by December 17, 2012. Final payments for April 7, 2013 sailing will be due by January 12, 2013. Cabin rates are based on double occupancy, are subject to change, and are based on availability. The cruise line reserves the right to implement a fuel surcharge if the cost of fuel increases. Triple & Quad Cabins (for three or four people) – Not all cabin categories will accommodate triples and quads. Call for prevailing rates and availability for triple and quad cabins – 1-877-987-Travel (8728). Add the class particpant/student fee of $269: This fee includes the Spanish Language classes, class materials, workshops, Spanish speaking events and fun activities onboard the cruise. Guest(s) not attending the Spanish Language event do not have to pay the participant fee only the cabin price. World Language Institute has chosen the following tours for each port of call. Students can travel with the group on these specific excursions or choose their own. The shore excursions are held by Shoretrips, tour operator, at an additional charge. Next step: Please take a moment to complete the pre-enrollment form for the selected Spanish Immersion shore excursions. There are other shore excursions available, however they are not part of the Spanish Immersion tour. View all excursions. If you or your guests do not wish to join the class on these excursions you can book a different shore excursion. Optional travel insurance is available. It is HIGHLY recommended to purchase in case of cancellations and what ifs that may happen. To view the Top 10 Reasons why you should purchase travel insurance and see the details of coverage, Click Here. Rates are based on total package price and are subject to change. For example, if you add airfare and/or transfers later, the rate will increase minimally to cover your full trip costs. Layaway to Sail Away Plan is available for the trip. An easy way to schedule monthly payments for your trip so you won’t be burden with a lumpsum. 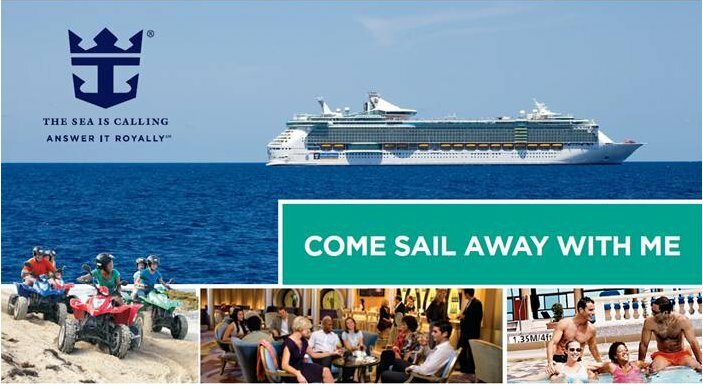 Please let us know if you would like to setup your trip on our Layaway to Sail Away Plan in the comment section of the cruise registration page. Persons wishing to pay off their balance ahead of time are welcome to do so. The Spanish Language Cruise Registration page will remain open until February 29, 2013 to sign up for the cruise. Please call or email us after December 2012 on room availability if you would like to register. If you have any questions please email or call Gail at gmorse@cruiseplanners.com, 1.877.987.TRAVEL (8728). Cruiseline Cancellation Policy: If one or more persons cancel, the rate(s) for remaining occupants in the room may increase. If travel protection insurance is not purchased, you are subject to the cruise line’s cancellation policy. Should you need to cancel you will get a full refund if you notify us at least 75 days prior to your sailing date. When calculating the days prior to sailing, the day of sailing should not be considered as one of the days. The day of sailing is considered the first day of the cruise, therefore, the penalty period will commence one day prior to the day of sailing. World Language Institute Cancellation Policy: World Language Institute reserves the right to cancel the trip if the minimun required number of students is not met by December 7, 2012 (March sailing) and January 4, 2013 (April sailing). If World Lanaguage Institute cancels the trip, you will receive a full refund of the participant fee. The participant fee will be non-refundable if you cancel after December 7, 2012 (March 10,2013 sailing) and January 4, 2013 (April 7, 2013 cruise). Passports are recommended for this cruise (for US Citizens). If you do not have one or yours is expired, please visit travel.state.gov for information on how to apply/renew.